There’s still a lot of confusion as to whether dagga (cannabis) remains an illegal drug in South Africa, fuelled in part by conflicting media reports. It remains in general illegal to cultivate, possess, supply or use cannabis “without the necessary authorisation from the Department of Health” (see below). Individual patients needing to use cannabis products for medicinal purposes can apply for special permits (3 of them are required) to do so. The Medicines Control Council (MCC) has to date approved only one medicine containing synthetic cannabinoids (Dronabinol) under Schedule 6 – i.e. it is available only on prescription. Cultivation of “medicinal” dagga remains generally illegal, but the MCC is “working towards implementing a detailed regulatory framework to enable applications for licences and permits for the cultivation, production and manufacture of medicinal cannabis products.” No growing permits will be issued until the necessary legislative amendments have been passed by Parliament, and the MCC’s current draft guidelines for growers contain very strict requirements and controls which are likely to limit the number of farmers able to comply. What about the new “at home” defence? The recent high-profile Western Cape High Court judgment did not, despite the impression to the contrary created by some media reports, “legalise dagga”. 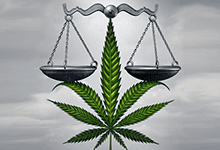 What it did do, on grounds of unconstitutionality of the legislation in question, is to provisionally provide a deemed “right of privacy” defence to anyone charged with a dagga-related offence where “the use, possession, purchase or cultivation of cannabis in a private dwelling is for the personal consumption of the adult accused”. The Court was at pains to state that its findings “should not be construed as meaning that this court wishes, in any way, to understate the importance of curbing drug trafficking and the pernicious and socially destructive activities of drug dealers … this case is only concerned with acts / conduct of individuals performed in the confines of their own homes”, nor did it in any way extend to children. In other words, the defence – if it is currently available at all (see below) – is only available to adults growing or using dagga in the privacy of their own homes for their own personal use. Any other cultivation, possession, supply or usage will fall outside that deemed defence and remains a fully prosecutable offence. It’s now over to the Constitutional Court to confirm or overturn the declaration of unconstitutionality (which is suspended for 2 years accordingly) and thereafter Parliament will need to amend the relevant legislation as necessary. It remains so be seen whether or not that process will eventually result in full decriminalisation. SAPS have indicated strongly that, with an appeal having been lodged against the High Court order, pending a Constitutional Court decision on the matter, and pending any necessary amendments to legislation, the police will continue to arrest offenders even for contraventions in their own homes. Although there is at date of writing no clarity on how the NPA will handle resulting prosecutions, the best advice for now to anyone thinking of “at home” dagga cultivation or use is to be cautious and to be aware that the risk of arrest and prosecution remains a real one. And what about the workplace? As cannabis remains in law an illegal drug in South Africa, and as the new “deemed defence” to any criminal charges applies – if it applies at all – only to own-home possession and usage, workplace restrictions against drug use and abuse remain unaffected. Your employees cannot turn up for work with a joint and claim to be acting lawfully – they aren’t.